Press release statements tend to be pretty mild. When a business, person, or organization ends up in the news cycle for any reason it’s common practice to make an official statement in regards to their own side of an event. So when it was discovered earlier this week Austin’s NLand Surf Park had been sued by Travis County, you wouldn’t expect fireworks to follow. 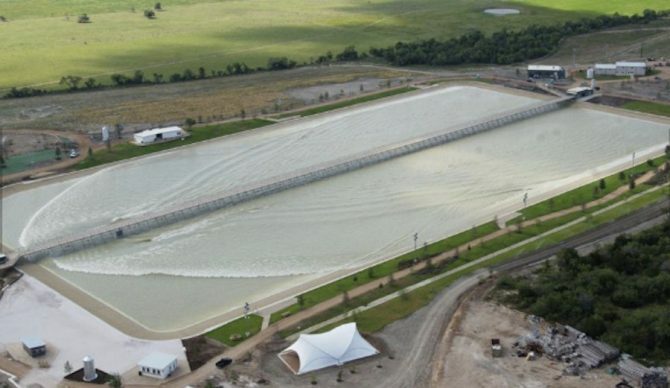 Despite NLand Surf Park’s repeated efforts to have a dialogue with Travis County about safety at our world-class facility, the Travis County Commissioners Court has refused to work with us towards a solution that would ensure the safety of park visitors while recognizing the unique aspects of regulating such a large body of water. Instead, on July 5th, the Travis County Commissioners Court authorized county attorneys to file a lawsuit against NLand, which they did yesterday. We do not want to be in court, but the County has forced our hand. It is treating us differently than other, comparable facilities, and applying regulations in an irrational and unfair way. To defend ourselves against the County’s aggressive action, we filed a lawsuit in Federal Court. The County has violated our constitutional right to equal protection of the law. If they’re concerned about amoebas, we invite them to look at the studies or talk to us about our water treatment systems. Blindly applying regulations for public swimming pools would waste millions of gallons of water and endanger our guests due to the fact that it is 45 times larger than an Olympic- size swimming pool. As the first surf park in North America and the largest in the world, NLand is committed to safety and environmental stewardship. The park features state-of-the-art rainwater harvesting, filtration and treatment systems that capture every raindrop that falls on the park’s 160 acres. This system lowers the environmental impact and ensures our lagoon has clean and safe water. Our highly engineered filtration process underscores the value we place on public safety and conservation.